PanARMENIAN.Net - U.S. 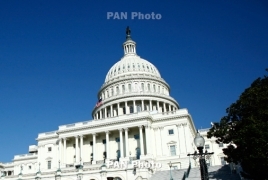 Congressman Brad Sherman has urged the Trump Administration to stop blocking Congressional legislation on the Armenian Genocide, a video posted online by the Armenian National Committee of America. "We were told that Turkey is a great friend of the United States and therefore we should turn a blind eye to history and not recognize the Armenian Genocide," Sherman said. Sherman called Abrams to work inside the Administration so that "they have an understanding that Turkey is not a friend of ours here in our own hemisphere, and that accordingly the Administration would announce that it would not object that this Committee once again, as has in the past in the Committee level, passing the Armenian Genocide resolution."